APSET Hall Ticket 2018 is available now for Download. The board authority of Andhra University, Visakhapatnam has issued Andhra Pradesh SET Admit Card 2018 on 24th June 2018. Candidates who had applied for APSET 2018, they can download the APSET Hall Ticket 2018 and attend for the examination on 1st July 2018. We are updating all the information about the APSET Hall Ticket 2018. Candidates can check the details and can download their APSET Hall Ticket 2018 for the examination. The Andhra University, Visakhapatnam has issued the admit card or APSET Hall Ticket 2018 for the Andhra Pradesh State Eligibility Test. The applicants who had completed the application process and waiting for the APSET Hall Ticket 2018, it was the excellent news for everyone. Every year the organization had released the notification. And this year also it has issued the information for the entrance test. For this, the application process has started on 26th March 2018, and the application process will end on 2nd May 2018. The Andhra Pradesh State Eligibility Test will be held on 1st July 2018. We have given the direct download link of hall ticket or admit card at the end of this page. The examination board has released the APSET Hall Ticket 2018 at their organization website on 24th June 2018. Candidates can easily download the hall ticket from this article by hitting on the below-provided link. For more details about the Andhra Pradesh State Eligibility Test visit the official notification. Like every year this year also Andhra Pradesh SET Exam will be conducted by the Andhra University. Admit Card Contains Details like Name of the Candidate, Date of Birth, Name of the Examination, Time of the Test and Exam Center and other Important Details. Before downloading the Admit Cards, it is advisable to check the details printed on the Admit Card if anything is missing or Printed wrong they can Request the organization for Reissue of their Admit Card. 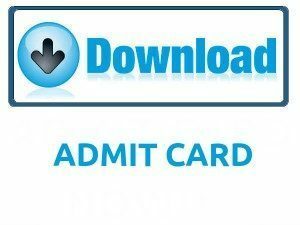 For any examination downloading Admit Card is essential. Most of the candidates will get confused or get mislead with wrong information. So in this post, we are also updating steps to download admit card. Candidates are requested to download admit card at least before 10-15 days before the examination. We also advise contenders to keep an extra copy of Admit Cards to avoid further Complications. For other Boards Admit Cards and other Information Candidates can check our site Sarkari Recruitment For more updated Information. We will activate the download link when the organization publishes the admit card or hall ticket. Candidates will not be allowed into the examination hall unless if they are carrying Admit Cards and Photo Identity Proof. It will be best for the applicants to download their Andhra Pradesh SET Admit Card 2018 days before the Actual Examination. We also request candidates to check the official Notification before downloading the APSET Hall Ticket 2018. For more Information candidates can visit official site apset.net.in. Candidates will not be allowed into the Examination Hall without proper identity proof and Admit Card. In present days every organization had generated the admit card or hall ticket for any examination process. Without the hall ticket, the organization will not allow for writing the examination. The APSET Hall Ticket 2018 will more useful to management to find the fake members in the examination center. The admit card or hall ticket or call letter has essential details like Candidate Name, Photograph of the candidates, Exam name, Exam Centre Name, Exam Centre Code, Exam Hall Address, candidates Address, Mother or Father Name, essential instructions for the examination. Everyone has to attend in 20 minutes before the exam to avoid the rush and check the information on the back of hall ticket. The applicants must need to carry any Identity along with hall ticket for security reasons at the examination hall. The candidates can also check the All India Exams Admit Cards for various examinations on our website. The other information about the Andhra Pradesh State Eligibility Test like details in admit card, required documents for the exam, and steps to download the admit card has mentioned below. The admit card or hall ticket carries the below important information about the exam and aspirant. In every organization, without the hall ticket, the candidates will not for the exam. So everyone must have to carry hall ticket. The below documents need to carry for the Andhra Pradesh State Eligibility Test to the examination center for the security purpose. Visit the official website of Andhra University, Visakhapatnam, i.e., apset.net.in. Click on Andhra Pradesh State Eligibility Test 2018. Check APSET Hall Ticket 2018 download link. APSET Hall Ticket 2018 will appear.